Sir David Jason at RAF Fairford Air Tattoo Press Day. This was proper Del Boy. David Jason was flown in in the plane behind. The three wheeler was then supposed to lead the plane in but it broke down. Panic set in and various people ran out and started pushing the car. Made funny pics. 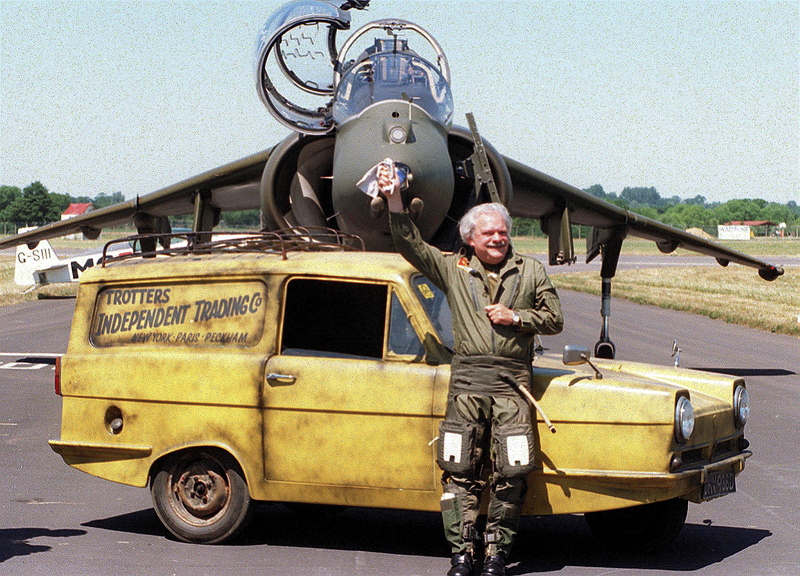 When David Jason got out of the plane he was dying for a pee so he apologised, promised he would be back, disappeared to the toilet, then true to his word came back and posed by the car. I love Only Fools and Horses so this was a great job for me.